They don't call New York City 'the city that never sleeps' for nothing! We don't sleep, and we don't let much deter us or get in our way. Nothing says Halloween like not having power anyway right? Light's Flickering just add to the creepy Halloween Party Vibe, you know like a Strobe Light! Horror is my favorite Genre, making Halloween one of my favorite nights of the year! This year most of the party came to me, thanks to the awesome folks at Get Unreal, www.getunreal.com, which meant less time planning and fussing, and more time just enjoying the vibe! or 'Artificial Stuff'. (You know like colors that come from chemicals and dyes!) And if you are not sold yet, how about 40% less sugar per serving on average, more peanuts, more protein and more fiber. 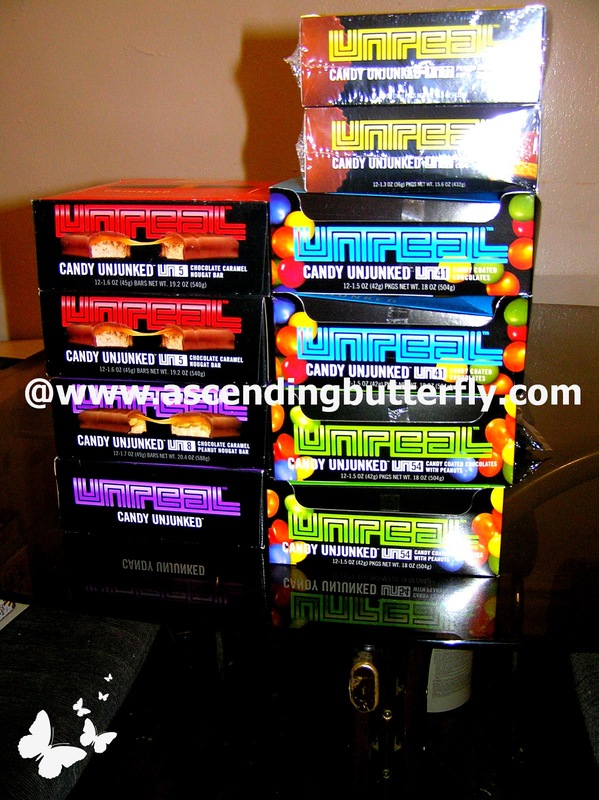 UNREAL Candy Assortment with product info! Getting the Gift Bags Ready! Their Mission is not to just 'Unjunk' Candy, it's to 'Unjunk' America! That's a pretty big mission, but I think Halloween was the perfect way to start! 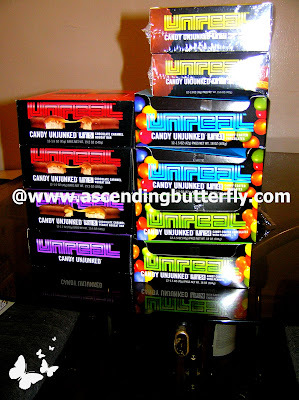 What I love is that the little ones didn't notice and the adults who did notice, liked Get UNREAL Candy WAY, way better! 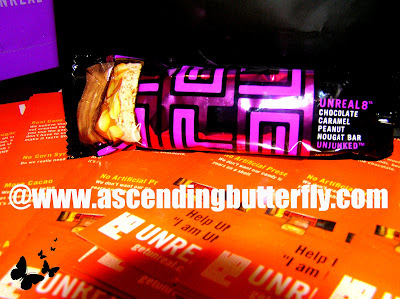 Get UNREAL Chocolate Caramel Peanut Nougat Bar, before it's sad demise! 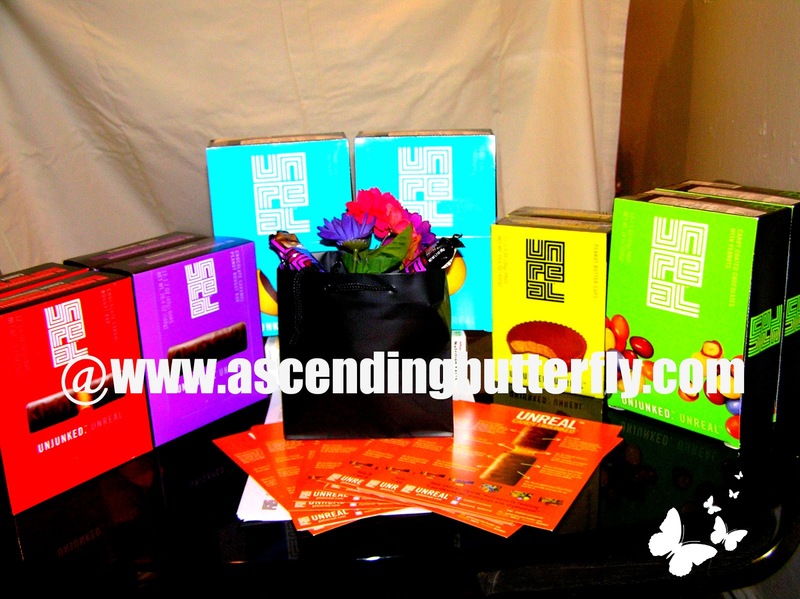 Who was that masked butterfly? Last year I dropped 3 dress sizes little by little and healthy substitutions was part of that strategy, this year after spending quite a bit of time in the hospital, my work out routine got halted for awhile so while I slowly ramp up again, substitutions and cutting out the 'junk' are more important to me than ever. Can I cut chocolate from my diet completely? NO! And I'm not going to even pretend I would want to! Life needs to have some indulgences to keep it fun and interesting right? 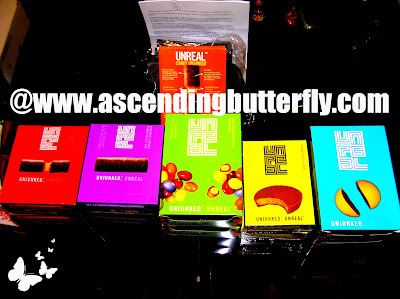 But I can tell you I don't miss what's missing and I'm going to happily 'UNJUNK' my snacks! Ƹ̵̡Ӝ̵̨̄Ʒ - Want your Halloween Pictures Featured? 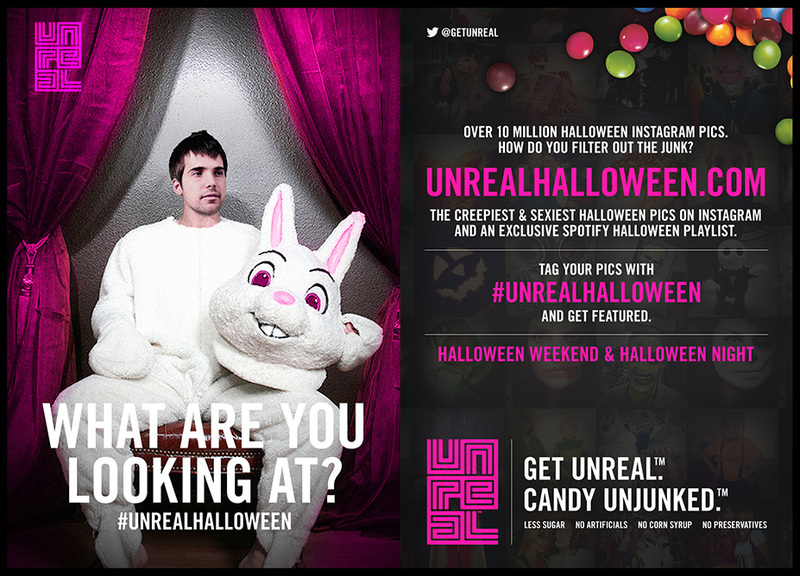 Tag your Instagram Halloween Photos with the hashtag #UNREALHALLOWEEN for a chance at being featured by Get Unreal! Wishing all my Butterflies a Very SAFE, Happy and HEALTHY Halloween! 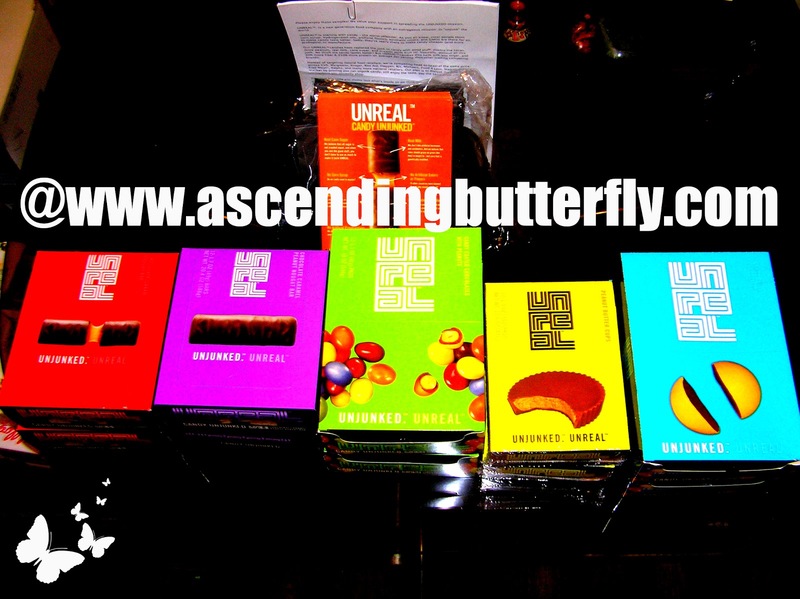 Get 'UnJunked' You Won't Regret It!